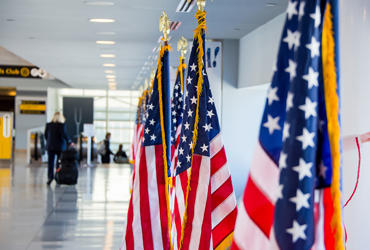 New York’s LaGuardia Airport is in the middle of and extensive $5.1 billion transformation. Construction companies have just finished a new concourse in Terminal B, the first phase of the project. The new concourse features the first 11 of 35 new gates at Terminal B. Travelers benefit directly from the construction work, as they now enjoy new spacious seating areas with charging stations and ceilings up to 55 feet (16,7 meters) in height. The new terminal also offers a world-class selection of the best in New York food, beverage and retail offerings. Airport World reports that the new 250,000 square meter head house of the terminal will be finished next year, allowing nearly 15 million travelers annually to check in and pass through security screening. The decision is final. 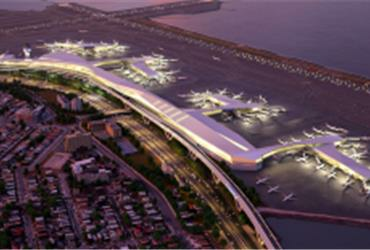 New York’s LaGuardia Airport will definitely undergo a $4 billion redesign. New York-JFK's Terminal 4 will introduce an artificial intelligence system that will help handle the terminal’s 21 million passengers. 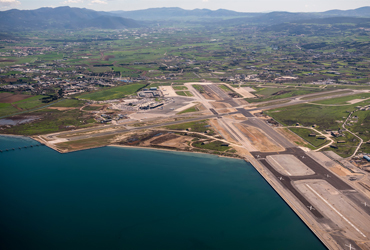 Thessaloniki’s 'Makedonia' Airport's (SKG) airport has celebrated the ground-breaking ceremony for the construction of a new, second terminal.